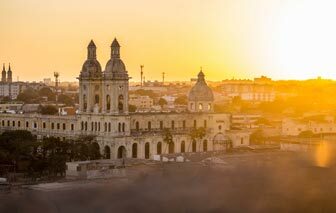 Get to know a little bit of Colombia’s hidden gem, Barranquilla, and fall in love with its heritage, culture and beautiful women. First founded in 1629, Barranquilla was a sleepy city for most of its history. Development was slow because traveling to the city proved difficult (it was hard to navigate the Rio Magdalena). In order for goods to be transported to the city, the only safe route was to pass through Cartagena first. Things started looking up during the 19th century when Puerto Colombia finally opened on the city’s shores. It didn’t take long for Barranquilla to be established as a major port. In fact, its reputation for exporting quality products (such as coffee) encouraged countries like the US, Germany, and as far as the Middle East to trade goods here, which is why it is dubbed as Colombia’s Golden Gate. Since it is a port city, it wouldn’t be a surprise if Barranquilla is known for its abundance in seafoods and other marine resources. And they certainly have plenty of it considering they are bordered by the Atlantic Ocean and the Magdalena River. Some of the few dishes that you must try include Mojarra paired with coconut rice and plantains and Bocachico (fish stuffed with choice vegetables and herbs). But there is one spot in the city that’s known for serving an assortment of dishes, namely Fruteria. Some of the dishes you can enjoy here include Empanadas, Arepas de Huevo, and Papas Rellenas. Colombia’s most famous author once made Barranquilla his home. In fact, he and a select group of writers and journalists were part of the Barranquilla Group. In fact, all four of the members of the Barranquilla Group partially inspired some of the characters from the landmark novel One Hundred Years of Solitude written by Gabriel Garcia Marquez. By far, the most well-known holiday in the city is Barranquilla Carnaval. Attending this festival is one of the most lively and exciting things to do in Barranquilla. This colorful festival lasts for almost a month and culminates four days before Ash Wednesday. Some of its highlights include the Battle of the Flowers and the Grand Parade. Aside from being the most colorful, it is also one of the oldest (dating as far back as the 19th century). Dancing is an integral part of Barranquilla nightlife. Locals even claim that the city is the true salsa capital. But its traditional dance would have to be the Cumbia, which is still enjoyed by people of all ages in events like quilleros. To truly experience Barranquilla, you’ll have to join one of these dances at some point. All of these factors make Barranquilla worth visiting. Incidentally, it also houses some of the most beautiful women in the world. You might be lucky enough to meet one of them during your trip. The only way for you to know is to visit. So what are you waiting for? Pack and head for Barranquilla as soon as you can.